Coming hot on the heels of my recent post on fish oil (9/25/18) are the results of 3 new, large studies examining its effects on cardiovascular outcomes in various patient populations. The first, published in the October 18th issue of the New England Journal of Medicine compared the effects of statins alone versus statins plus fish oil in reducing adverse cardiovascular events like heart attack and stroke in diabetic patients without pre-existing heart disease. The trial was conducted by the ASCEND Collaborative Group (A Study of Cardiovascular Events in Diabetes), and found no benefit in adding fish oil to a statin. Another trial, also published in October, also found no benefit to fish oil plus a statin over just a statin alone to prevent heart attacks and strokes in a population of US veterans. Then, in the most recent issue of the New England Journal of Medicine, a third trial came out examining the effects of fish oil on the prevention of cancer and cardiovascular events in a general population of older adults. This trial, too, found no benefit to fish oil. We can conclude from these and other trials that fish oil provides no benefit when added to a statin drug to prevent heart attack, stroke, or sudden cardiac death, nor does it appear to confer cancer or cardiovascular protection when used alone. Boom, boom, boom … three strikes you’re out. Should anybody take it? Currently, the American Heart Association recommends a fish oil supplement only in patients with pre-existing coronary heart disease or congestive heart failure to prevent secondary adverse cardiovascular events. Supplements are not recommended for the primary prevention of heart attack or stroke in the general population. Case closed? Not quite. At the American Heart Association’s Scientific Assembly this past September, preliminary results of a trial (REDUCE-IT) utilizing a new fish oil product (Vascepa marketed by Amarin) noted a 25% reduction in adverse cardiovascular events versus a placebo over 4.9 years of follow up. Amarin’s CEO, John Thero, gushed over the results, calling them “huge” and “exceeding all expectations” during a recent conference call, before adding that “the benefit of Vascepa was seen on top of statin therapy … and it now has the potential to be used in millions of patients.” Investors drooled, and the price of the stock more than tripled. 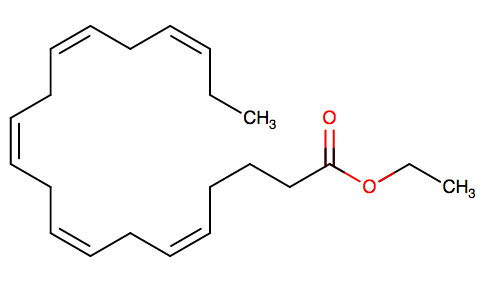 Icosapent Ethyl (E-EPA), an ester derivative of EPA fish oil (Vascepa). But then the trial results were published online last weekend by the New England Journal of Medicine (along with a glowing story about them on the NBC Nightly News last Saturday). 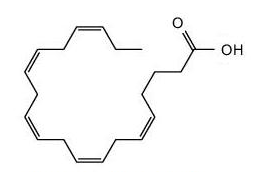 The trial, sponsored by Amarin, examined high-dose administration (4 grams) of icosapentyl ethyl-EPA (a derivative of standard EPA fish oil) versus a placebo in patients, all of who had elevated triglycerides and pre-existing diseases like heart attack, stroke, hypertension, or diabetes, and then followed them over time. Although Amarin is busy touting its “25% reduction” in adverse cardiovascular events, it turns out that there are some issues here. First, this was the relative reduction in one or more of a host of events that included: cardiovascular death, heart attack, stroke, revascularization (coronary bypass graft surgery or coronary artery stent placement), and/or “unstable angina” (hospitalization for chest pain). All weighed equally in the final tally, but there’s a big difference between being hospitalized for a bout of chest pain that might not even be heart-related versus dying from a heart attack. Including very serious outcomes with not-so-serious ones in a composite endpoint is a no-no. When looking just at cardiovascular death, heart attack, and stroke, and using absolute numbers, then the fancy new fish oil resulted in just a 3.6% reduction in adverse events (11.2% versus 14.8%). It’s also important to note that there was a latency period of 2 years before any benefit was seen, so patients will have to be prepared to shell out big bucks ($3,400 per year) for a long time (more than 2 years) for a small chance (3.6%) of benefiting. To summarize: In a highly selected patient population with elevated triglycerides unresponsive to standard statin therapy, there was a slight reduction in bad cardiovascular events occurring in patients who took an expensive fish oil for more than 2 years. Whether these results are applicable across a wider population of normal patients without elevated triglycerides (i.e. the “millions of patients” Mr. Thero is hoping for) is completely unsettled. Until it is, the hype and the increase in stock price are unwarranted. Needless to say, I’m skeptical. Cardiovascular death, heart attack, and stroke over time in a patients treated with Vascepa [Icosapent Ethyl (E-EPA) fish oil] versus placebo (NEJM 2018; DOI: 10.1056/NEJMoa1812792). Bottom line: A strong ‘no’ to fish oil supplements at current recommended dosages for the general population. 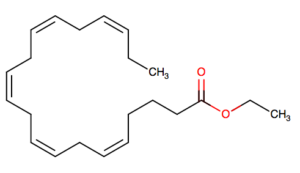 A tentative ‘maybe’ to a new, high-dose, expensive fish oil for selected patients with elevated triglycerides. Moving on to vitamin D (original post 2/23/17), a huge meta-analysis reviewing its effects on falls and bone health appeared in the October issue of The Lancet Diabetes & Endocrinology. The study reviewed 81 randomized controlled trials involving more than 53,000 patients and should put to rest any lingering questions about the lack of benefit associated with vitamin D supplements. Across the board, vitamin D had no effect on any clinical outcomes related to bone health. It didn’t reduce fractures. It didn’t reduce falls. It didn’t increase bone density. Regardless of whether the patient had a normal or low vitamin D level at the start, regardless of whether the patient took moderate or large amounts of the stuff, regardless of the final vitamin D level after supplementation—none of it mattered. Nobody benefited. The outcomes were so overwhelmingly negative that the authors called for a moratorium on additional studies. None of this is surprising since vitamin D’s purpose in the body is not to regulate bone calcium in the first place, but rather to regulate blood calcium. Vitamin D triggers increased intestinal absorption of calcium and mobilization of calcium from bone to blood, both of which serve to increase blood calcium levels. Vitamin D does not promote calcium uptake in the opposite direction from blood to bone. That job belongs to calcitonin. What about calcium supplements for increasing bone density and reducing fractures? Although this study did not specifically address the topic, the authors had this to say about it: “Recent systematic reviews have suggested that the evidence for benefit of calcium supplements in preventing fractures, with or without vitamin D, is weak and inconsistent, with any effect on bone mineral density or fractures likely to be small and of doubtful clinical relevance.” That doesn’t leave much wiggle room, does it? Currently the RDA (Recommended Daily Allowance) for vitamin D is set at 600 IU/day for people aged 18-70, and 800 IU/day for people older than 70. Note: This is not the minimum amount required to prevent disease, but rather a much higher amount that virtually guarantees its absence. The best way to get your daily dose is simply by exercising in the sun for a few minutes a day, as UV light promotes the skin conversion of vitamin D precursors into a metabolically active form of the compound. Very few people who spend time in the sun require supplements and, those who do, generally either live in a far northern latitude or are vegans who abstain from high vitamin D-containing foods like milk, cheese, and fish. The evidence for vitamin D for the prevention of cancer, heart attacks, and strokes is equally weak. A study arm of the same trial mentioned above on fish oil for the prevention of cancer and adverse cardiovascular events also found no benefit with vitamin D supplements. Finally, a different trial found no benefit in function or fall reduction associated with high-dose vitamin D when taken for 2 years following total knee replacement surgery. It just doesn’t work. No good news for this over-hyped vitamin. Bottom line: A strong ‘no’ to vitamin D and calcium supplements. Instead, eat a balanced diet and exercise in the sun. A new study on pediatric concussion appeared in the November issue of Pediatrics calling into question the notion that symptoms after minor head injury are mild and short-lived (original post 8/19/15). This study followed more than 230 children aged 4-15 after experiencing a concussion, roughly half of who also had post-injury CT abnormalities, so these were more than patients with a simple bump on the head. As a control, the authors also followed 110 children with orthopedic injuries consisting of an isolated extremity fracture. [It’s important to note that a headache following a blow to the head does not define a concussion. The diagnosis requires injury with an associated neurologic deficit (e.g. loss of consciousness, amnesia, altered alertness, seizure, vertigo, or another focal deficit). All patients with a loss of consciousness have a concussion, but not all concussions involve a loss of consciousness.] 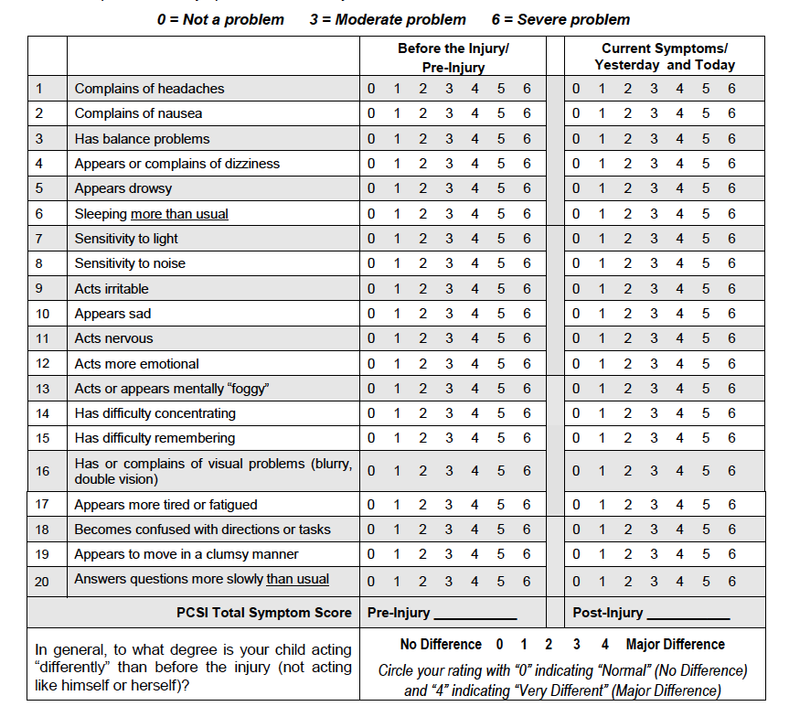 The presence of symptoms pre- and post-concussion were assessed using a validated scoring system. Overall, the results were not encouraging: 25% of those with concussions, and 31% of those with associated CT abnormalities, had persistent post-concussion symptoms a year after their injury. Symptoms were highly variable and were physical (e.g. headache, light sensitivity, dizziness, and vertigo), cognitive (e.g. altered attention, concentration, and memory), and psychological (e.g. sadness, anxiety, irritability, and emotional lability). Although most patients’ symptoms were mild, a not insignificant number (8-10%) suffered major disruptions that affected school performance and socialization. Adolescents tended to suffer more symptoms in the near-term, while younger children (aged 4-8) were more likely to have persistent long-term symptoms. Girls did worse across the board, and were nearly twice as likely as boys to develop chronic post-concussion symptoms. Not surprisingly, those with pre-existing mood disorders, ADHD, and behavioral problems did worse, as did kids from poor socioeconomic backgrounds and those coming from families with dysfunctional social dynamics. Bottom line: A small but significant percentage of kids—girls more than boys—develop long-term symptoms after minor head injuries. On the plus side, this means that the majority do well. Most kids require just a brief period of physical and mental rest before resuming their normal activities. Concussions are most common in boy athletes playing hockey and football, and girl athletes participating in cheerleading and soccer. Be certain that your child has undergone a validated post-concussion “return to play” screening exam before resuming organized sports. Interestingly, in the above study, a number of children (18%) in the control group (i.e. those with isolated orthopedic injuries) also developed chronic physical and psychological symptoms similar to that seen in the concussion group, implying that any significant childhood injury carries with it a sizable risk of long-term side-effects. Another article in the same issue of Pediatrics reviewed the use of CT scanning after minor pediatric head injury between 2007-2015. Overall, the number of ER visits for this indication continues to climb, rising from 1.3 million in 2010 to 1.9 million by 2015. It’s not so much that kids are suffering more injuries, but rather that the threshold to visit an ER has decreased over time. Physicians are less willing to recommend, and parents less willing to endorse, a trial of “watchful waiting” at home without a visit to the ER. Unfortunately, those visits all too often result in an unnecessary CT scan. 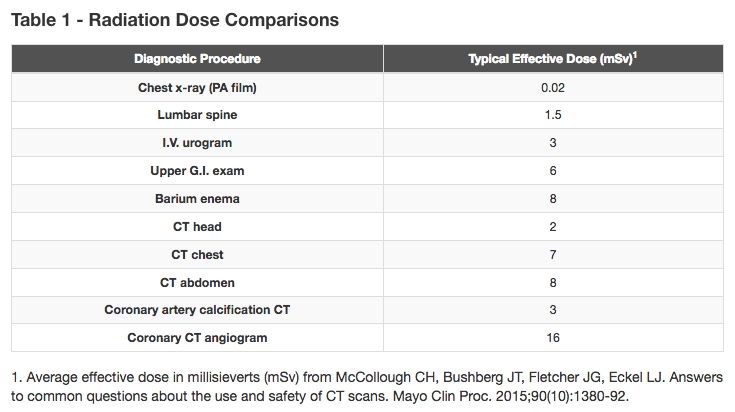 Excessive scanning, done primarily to reassure parents and lower physician liability, not only adds time and money to an already overburdened system, but also results in a huge amount of unnecessary childhood radiation exposure (equivalent to roughly 100 chest x-rays worth per scan). Recall that radiation damage is cumulative over time, and that more radiation in childhood equals more cancer in adulthood. It would be one thing if these scans were uncovering a lot of serious pathology, but the likelihood of finding a problem warranting neurosurgical intervention is on the order of just 1 in 1,000. Monumental effort has gone into developing protocols designed to safely reduce the number of CT scans performed in kids after minor head injury, so the results of this review are especially disheartening. Not only didn’t the number of scans ordered decline over time, but scanning actually increased in kids with the least serious injuries—precisely the ones with the lowest chance of benefiting from them. Overall, 32% of minor head injury patients ended up with a scan, a number twice as high as predicted if physicians had followed validated guidelines. Despite widespread educational campaigns and the incorporation of clinical decision tools into electronic medical records, this percentage remained unchanged over the 9 years reviewed in the study. The reasons are myriad; unfamiliarity with the guidelines, physician fear of litigation and/or censure if something is missed, and a strong parental need for reassurance. A number of studies have shown that parents trust technology over a doctor’s educated opinion, particularly if it’s a doctor they don’t know. Under the circumstances, a recommendation for “watchful waiting” can be a hard sell to parents who came to the ER expressly because they weren’t comfortable with that approach in the first place. It takes time, knowledge, finesse, and experience on the part of a physician to do the right thing and not order a CT scan when it isn’t indicated, but just a simple click of the keyboard to do the wrong thing to appease parents and reduce medicolegal risk. A 2017 survey of 765 emergency physicians found that, despite widespread knowledge of the Choosing Wisely recommendations to refrain from unnecessary CT scanning, 30% of doctors continue to “often or always” order them. Shame on us. What should you do if your child receives a blow to the head and you’re worried? 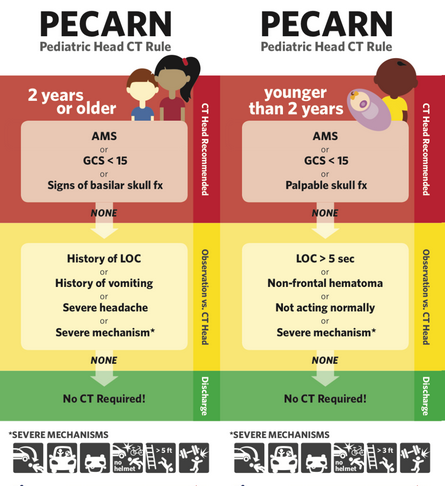 First, take your child to a pediatric teaching hospital if available (NOT an urgent care center), and, no matter where you go, before consenting to a CT scan ask the doctor if it is indicated based on the PECARN Head Injury Guideline, a simple, age-adjusted, two question survey to determine whether the risk of a serious head injury is greater than the radiation risk associated with a scan. If not, then no scan. I pull the tool up on my smartphone and review it with the parents of all my head-injured pediatric patients. Every. Single. Time. Bottom line: Most kids don’t need a CT scan after suffering a minor head injury. Next, a quick word about epinephrine in the setting of cardiac arrest (original post 4/3/17). Epinephrine (adrenaline) has been the ACLS (Advanced Cardiac Life Support) guideline recommended go-to drug for heart resuscitation since the guideline’s beginnings, despite virtually no data that it works. After a couple of small trials offered hope that the drug might work better when administered directly into the heart, I started administering it that way. As an intern, I clearly remember attaching a long spinal needle to the epinephrine vial and plunging it into the heart via a deep stab just below the breastbone (trust me—it never worked like it did in Pulp Fiction). Next came “high-dose” epinephrine, administered at 5-10 times the usual dose. That didn’t work either, and actually worsened cardiac outcomes. Meanwhile, investigators kept studying the drug because there was nothing else to offer. Unfortunately, patients who are dead tend to remain that way and epinephrine isn’t likely to help. More recently, several large trials found that while epinephrine improved the initial recovery of a heartbeat, it didn’t help more people survive to hospital discharge, and likely worsened neurologic outcomes in those who did. Then, in 2015, a systematic review of all the major trials (involving more than 655,000 cardiac arrest patients!) confirmed what the individual trials had suggested, and this appeared to close the door on epinephrine. That is, until August of this year, when a new trial from the UK was published in the New England Journal of Medicine showed not just an improved initial recovery of a heartbeat, but also an improved survival to hospital discharge (3.2% versus 2.4%). Neurologic outcomes were still lousy. The trial enrolled 8,014 patients—small relative to the number in the systematic review—but for a randomized, placebo-controlled trial, this was a significant result. And so, the door opened again … if only just a crack. Vincent Vega (John Travolta) preparing to administer intracardiac epinephrine to Mia Wallace (Uma Thurman) in Quentin Tarantino’s Pulp Fiction. 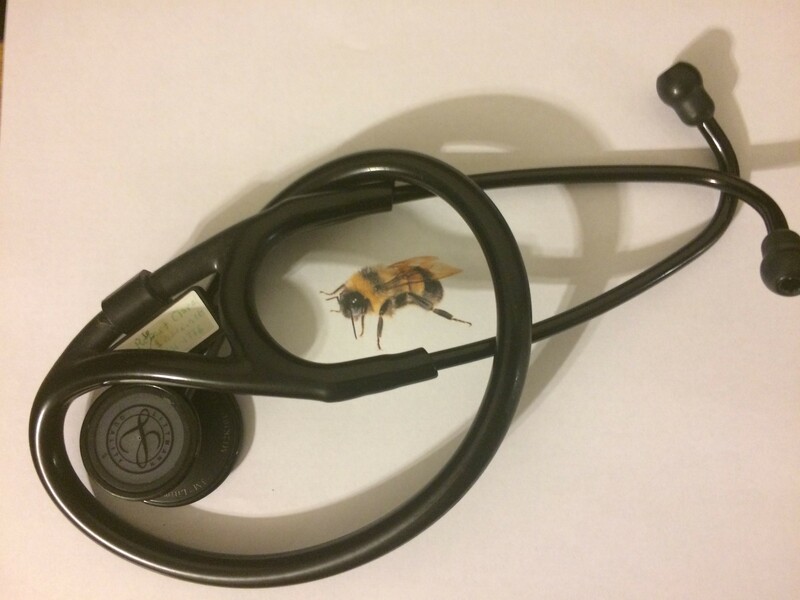 Bottom line: If you’re unlucky enough to have a cardiac arrest, epinephrine isn’t likely to save you, but it’s still great for bee sting allergies. A second trial, published in the same issue, looked at aspirin use and the incidence of ovarian cancer, and here the relationship was fuzzy. There appeared to be a small decrease in cancer associated with low-dose 81 mg aspirin use but a slightly higher incidence associated with standard-dose 325 mg use. Furthermore, there was no association for total, cumulative, or duration of aspirin use suggesting that the associations were simply statistical “noise.” Based on this, I believe it’s appropriate to add ovarian to the list of cancers that aspirin doesn’t prevent. Bottom line: ‘Yes’ to aspirin for the prevention of liver cancer, but ‘no’ for the prevention of ovarian cancer. Earlier this year in September, a series of 3 linked studies on aspirin use in healthy US and Australian seniors without dementia or underlying cardiovascular disease appeared in the New England Journal of Medicine. These trials looked at overall disability and mortality over time and found that aspirin conferred no benefit in this cohort over nearly 5 years of follow up. When looking specifically at heart attack and stroke, there was a small reduction in adverse events that was more than offset by increased bleeding episodes. Whereas, to prevent 1 heart attack or stroke required treating 223 patients with aspirin for nearly 5 years, significant bleeding occurred in 1 of every 97 patients treated. Far more patients had significant bleeding events than those who avoided heart attacks. Bottom line: Routine, daily aspirin use in healthy seniors without underlying cardiovascular disease is not recommended. Finally, a third article from the ASCEND Collaborative Group (A Study of Cardiovascular Events In Diabetes) was published in October, this one looking at aspirin to prevent stroke and heart attack in diabetics without pre-existing cardiovascular disease. The benefits of aspirin in patients after a first heart attack are well established. It’s not nearly as clear that aspirin confers a net benefit in preventing heart attacks in the general population. As noted above, when healthy seniors took aspirin, their risk of bleeding was more than double their chance of averting a heart attack. But diabetics have 2- to 3-times the cardiovascular risk compared to the general population, so it makes sense to look at whether aspirin might be useful in this subset of more than 30 million Americans. The study looked at 15,000 diabetic patients who were treated with 100 mg of daily, enteric-coated aspirin versus a placebo, and then followed them for a median of 7.4 years. The aspirin-takers had a 12% lower risk of heart attack and stroke relative to the placebo group (8.5% versus 9.6%). This means that for every 90 patients treated, there was 1 serious cardiovascular event prevented. On the flip side, there was also an increase in serious bleeding events (4.1% vs 3.2%), translating to 1 additional hemorrhage for every 110 patients treated. Thus, in diabetics, the benefits of aspirin slightly outweighed the harms. Bottom line: In diabetics without stomach problems, there’s a small net benefit associated with taking enteric-coated aspirin, 100 mg daily, to prevent bad cardiovascular events like heart attack and stroke. That’s all for now. Stay healthy, my friends! NOTE: ‘Bottom line’ assessments included in this post represent my personal opinions. They should not replace your doctor’s assessment or be used to avoid any recommended treatments. They may differ from the recommendations of professional organizations and/or medical societies. You should remain skeptical and seek additional consultation regarding any and all content contained herein. The reader bears sole responsibility for decisions regarding his/her personal health. Andrew Bentz et al, “Comparison of Cardiovascular Outcomes Between Statin Monotherapy and Fish Oil and Statin Combination Therapy in a Veteran Population,” Fed Practitioner, Oct 2018: 26-31. Louise Bowman et al, The ASCEND Collaborative Group, “Effects of n-3 Fatty Acid Supplements in Diabetes Mellitus,” NEJM 2018; 379 (16): 1540-50. John Manson et al, “Marine n-3 Fatty Acids and Prevention of Cardiovascular Disease and Cancer,” NEJM 2018; DOI: 10.1056/NEJMoa1811403, published online 11/10/18. Deepak Bhatt et al, “Cardiovascualr Risk Reduction with Icosapent Ethyl for Hypertriglyceridemia,” NEJM 2018; DOI: 10.1056/NEJMoa1812792, published online 11/10/18. Mark Bollard et al, “Effects of Vitamin D Supplementation on Musculoskeletal Health: A Systematic Review, Meta-Analysis, and Trial Sequential Analysis,” Lancet Diab Endocrinol 2018; 6: 847-58. JoAnn Manson et al, “Vitamin D Supplements and Prevention of Cancer and Cardiovascular Disease,” NEJM 2018; DOI: 10.1056/NEJMoa1809944, published online 11/10/18. Linda Ewing-Cobbs et al, “Persistent Postconcussion Symptoms After Injury,” Pediatrics 2018; 142 (5): DOI: 10.1542/peds.2018-0939. Brett Bursten et al, “Use of CT for Head Trauma: 2007-2015,” Pediatrics 2018; 142 (4): DOI: 10.1542/peds.2018-0814. Michelle Lin et al, “Emergency Physician Attitudes and Behavior Regarding ACEP’s Choosing Wisely Recommendations: A Survey Study,” Acad Em Med 2017; 24 (6): 668-73. Rohit Loomba et al, “Increased Return of Spontaneous Circulation at the Expense of Neurologic Outcomes: Is Prehopsital Epinephrine for Out-of-Hospital Cardiac Arrest Really Worth it?” J Crit Care 2015; 30: 1376-81. G.D. Perkins et al, “A Randomized Trial of Epinephrine in Out-of-Hospital Cardiac Arrest,” NEJM 2018; 379 (8): 711-21. J. Cuzick et al, “Estimation of Benefits and Harms of Prophylactic Use of Aspirin in the General Population,” J Oncol 2015; 26: 47-57. Tracey Simon et al, “Association Between Aspirin Use and Risk of Hepatocellular Cancer,” JAMA Oncol 2018; DOI: 10.1001/jamaoncol.2018.4154, published online 10/4/18. Mollie Barnard et al, “Association of Analgesic Use with Risk of Ovarian Cancer in the Nurse’s Health Studies,” JAMA Oncol 2018; DOI: 10.1001/jamaoncol.2018.4149, published online 10/4/18. J.J. McNeil et al, “Effect of Aspirin on All-Cause Mortality in the Healthy Elderly,” NEJM 2018; 379(16): 1519-28. J.J. McNeil et al, “Effect of Aspirin on Cardiovascular Events and Bleeding in the Healthy Elderly,” NEJM 2018; 379(16): 1509-18. J.J. McNeil et al, “Effect of Aspirin on Disability-free Survival in the Healthy Elderly,” NEJM 2018; 379(16): 1499-1508. Louise Bowman et al, The ASCEND Collaborative Group, “Effects of Aspirin for Primary Prevention in Persons with Diabetes Mellitus,” NEJM 2018: 379 (16): 1529-39. This entry was posted in Uncategorized and tagged aspirin, epinephrine, fish oil, pediatric concussion, pediatric head CT, vitamin D. Bookmark the permalink. ← I’m skeptical about … fish oil.